Sorority members gather outside the Sheraton Commander on bid day Wednesday morning. 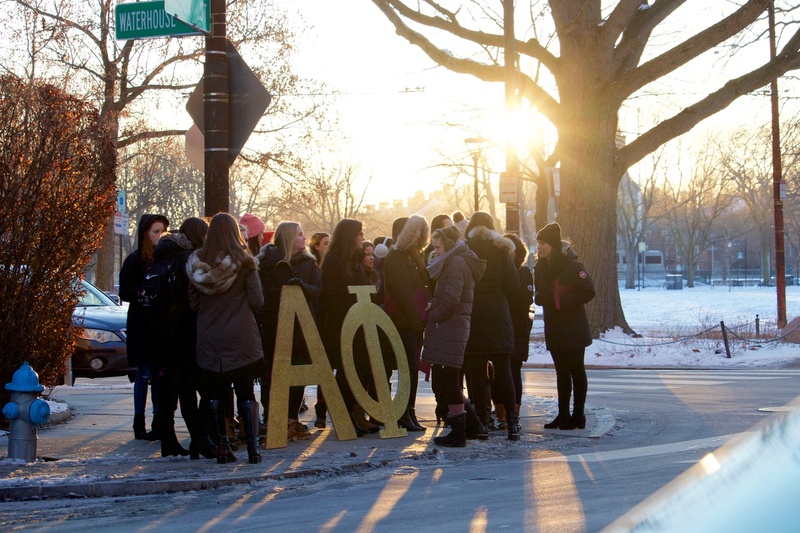 The last sorority just disappeared from Harvard’s campus. The Harvard chapter of Alpha Phi said last week it was disaffiliating from its national organization and forming a co-ed group called “The Ivy.” The move marked an about-face from Alpha Phi’s previous assertion it would not admit men — and the demise of Harvard’s fourth and final all-female Greek group. “This decision was made in direct response to the sanctions placed by Harvard University administration on members of single-gender organizations,” Alpha Phi International wrote in a press release agreeing to honor the dissolution of its Harvard chapter. The sanctions — which took effect with the Class of 2021 — bar members of single-gender final clubs and Greek organizations from holding campus leadership positions, varsity team athletic captaincies, and from receiving Harvard’s endorsement for prestigious fellowships like the Rhodes. Former University President Drew G. Faust announced the policy in an email to undergraduates in early May 2016. In the weeks and months after Faust’s missive hit their inboxes, sorority sisters at first spoke out with disdain and defiance. 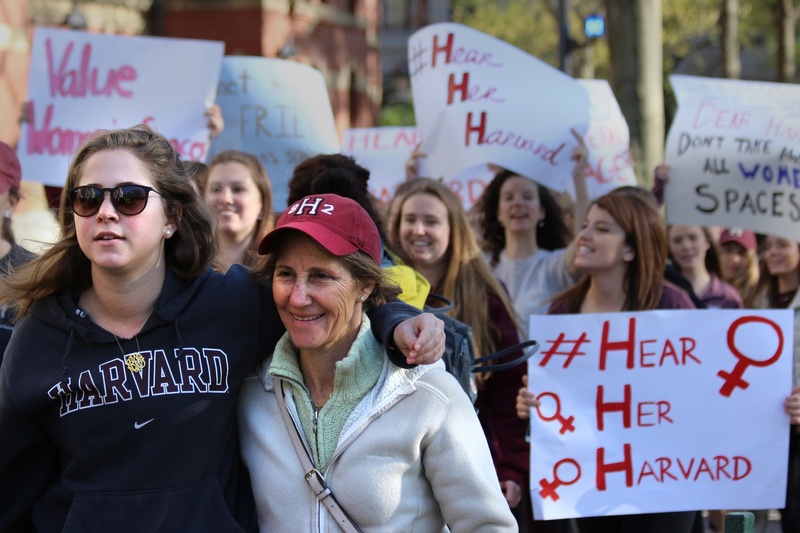 “Hear Her Harvard” is the name of a movement opposing sanctions against members of unrecognized single-gender organizations, like final clubs and sororities. On May 10, hundreds of women — including scores of sorority affiliates — rallied in front of the president’s office in Harvard Yard to march, chant, and channel their displeasure through megaphones. Members of sororities and all-female final clubs later took to social media, posting pictures and personal essays to make the case for keeping women-only groups on campus. Even after the Harvard Corporation, the University’s premier governing body, voted to formally adopt the sanctions in Dec. 2017 — an endorsement designed to secure their permanence — some sororities refused to give up. A week after the vote, Alpha Phi, Delta Gamma, and Kappa Alpha Theta issued a fiery statement denouncing the penalties and vowing to recruit only freshmen women in spring 2018. “While Harvard’s sanctions claim to support women’s right to make their own decisions, these sanctions actually force women to choose between the opportunity to have supportive, empowering women-only spaces and external leadership opportunities,” the three sororities declared. But, one by one, they buckled. 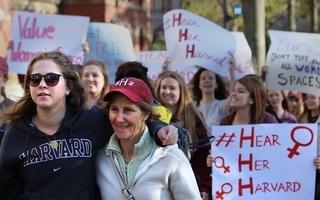 Kappa Kappa Gamma sorority member Elly Duker '19 marched with her mother, Julie Starr-Duker '82, at the #HearHerHarvard protest against newly-announced sanctions against unrecognized single-gender social organizations. 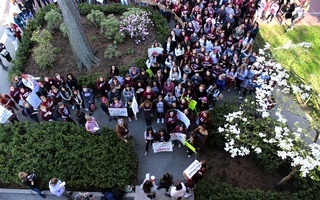 More than 200 women rallied in front of Massachusetts Hall in response to the policy, which will bar members of such organizations from holding leadership positions in official clubs and receiving top fellowships. Kappa Kappa Gamma became the co-ed club “The Fleur” in Dec. 2017. Kappa Alpha Theta announced in July that it plans to become the gender-neutral “Theta Zeta Xi” this fall. Delta Gamma shuttered its doors earlier this month. Days later, some former members launched the co-ed “Kali Praxi” club. Two all-female final clubs — the Seneca and the Sablière Society — have agreed to admit men in the past two years. Another all-female club, the Bee, merged with the all-male Delphic Club in August 2017, promising to share membership and the Delphic’s brick mansion on Linden St. There are now three female clubs left in Cambridge: the IC Club, the Pleiades Society and the La Vie Club. Meanwhile, nine all-male groups — including three fraternities and six final clubs — still operate around Harvard’s campus. Just four men’s groups have chosen to go co-ed to date. Several months ago, the three most storied male clubs — the A.D. Club, the Porcellian Club, and the Fly Club — partnered with three campus fraternities to launch a campaign to convince Congress to pass legislation that would imperil Harvard’s ability to enforce its sanctions. The social groups retained Arnold & Porter, a tony D.C. lobbying firm with a fearsome reputation and a long list of contacts inside the federal government, to further its cause. Men’s final clubs “have long existed and are sufficiently well-established so they can defend themselves,” said Richard T. Porteus Jr. ’78, the graduate president of the Fly Club. He added that women’s groups — whose shorter histories can mean they have less resources and fewer powerful alumni — may struggle to defy the College’s penalties. 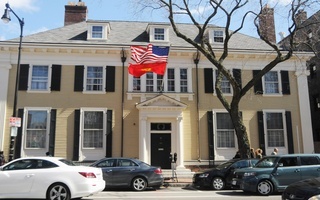 The first men’s final club, the Porcellian, dates to 1791; the A.D. and the Fly followed in 1836 and the majority of the rest, along with several fraternities, arrived on Harvard’s campus in the late 1890s or early 1900s. Most women’s groups, by contrast, were founded in the late 1990s or early 2000s. The disparity is evident just walking around Cambridge. Most Friday and Saturday evenings, members of all-male final clubs gather in stately brick mansions feet from Harvard Yard that the groups have owned for decades, if not centuries. The parties can be easily heard and seen from the street. It’s much rarer to find gatherings planned and hosted by women in a space owned by women. All-female groups typically either rent rooms more distant from campus or lack space entirely. 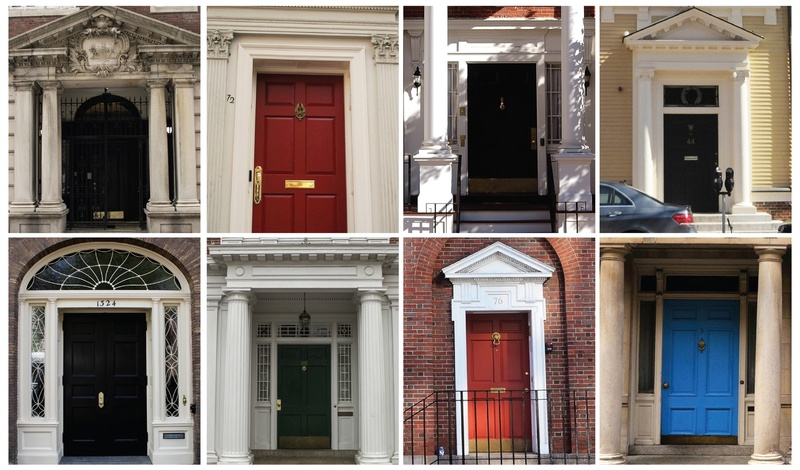 All eight of Harvard's traditionally all-male final clubs own million-dollar properties near the heart of campus. Administrators at first said that historic inequalities between Harvard’s female and male groups meant they should be treated differently. 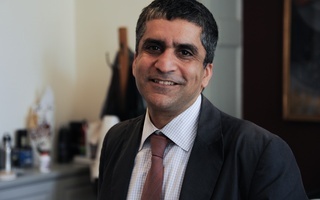 Dean of the College Rakesh Khurana — the face of the sanctions to most Harvard students — approved a proposed “bridge” program in early 2017 that would have granted all-female final clubs and sororities a longer period of time to go gender-neutral than their all-male counterparts. At the time, Khurana wrote in an email to College students that he believed women’s groups might require extra help and administrative resources as they sought to become “inclusive” organizations. “Our students… are not all starting from the same place,” Khurana wrote. Roughly a year later, administrators canceled the “bridge” program. Instead, they designated a handful of staff and unspecified additional resources to help women’s groups go co-ed. In a statement posted online last week, members of Alpha Phi wrote they chose the lesser of two evils in complying with the College’s sanctions. “Ultimately, Alpha Phi was founded to provide help, hand in hand, to a community of women so we could achieve success that paralleled the men around us,” the group wrote. “We do not believe our school’s sanctions are justified, but in non-compliance, we are giving up on young women who came to our organization for a strong community and are instead forced to risk their future success. The Ivy will hold a gender-neutral recruitment process in spring 2019. The group does not plan to consider gender as the main factor when making recruiting decisions, according to member Michelle Y. Xie '19. Students will be offered membership — or not — based on their ability to "contribute" to The Ivy, she said. Alpha Phi International president Renee Zainer said in a press release that she is saddened by the Harvard chapter’s decision to disaffiliate but that she understands the students’ reasoning. “Members were put in an untenable conflict, forced to choose between the opportunity to have a supportive, empowering women-only space and external scholastic and leadership opportunities,” she said. A Harvard spokesperson declined to comment on Alpha Phi’s decision. A previous version of this article indicated that some all-male social groups "operate on Harvard's campus." 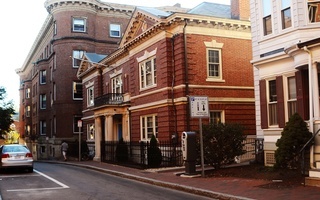 To clarify, though mansions belonging to male final clubs are dotted throughout Harvard's campus and amid properties owned by the school, the ground underneath the mansions is owned by the clubs themselves, and not by Harvard. 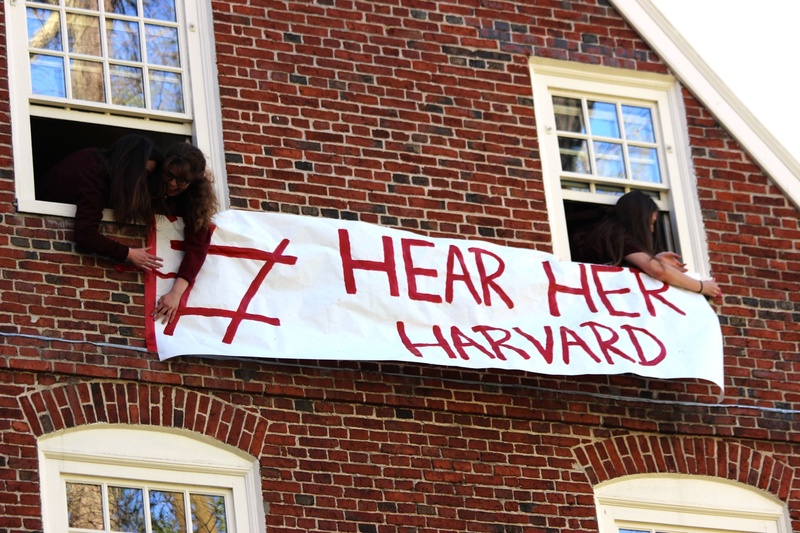 The article has been updated to state that all-male groups operate "around Harvard's campus."